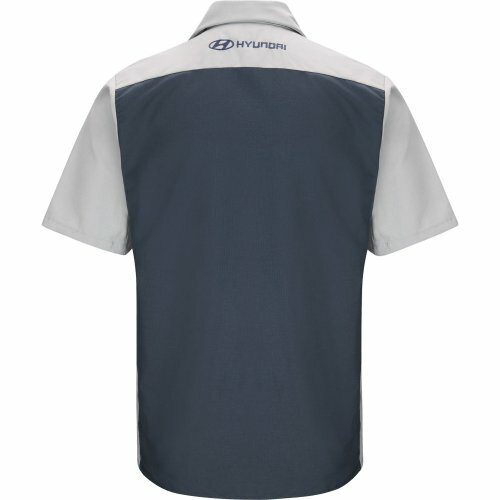 Comfortable, breathable Touchtex™ Fabric keeps you dry while resisting stains and holding its color. Exclusive Ripstop Fabric is lightweight and breathable but extra durable and 75% stronger than other poplin workwear fabrics. An eye-catching Colorblock Design draws inspiration from car culture. Sewn-In Collar Stays reinforce a polished, professional look. 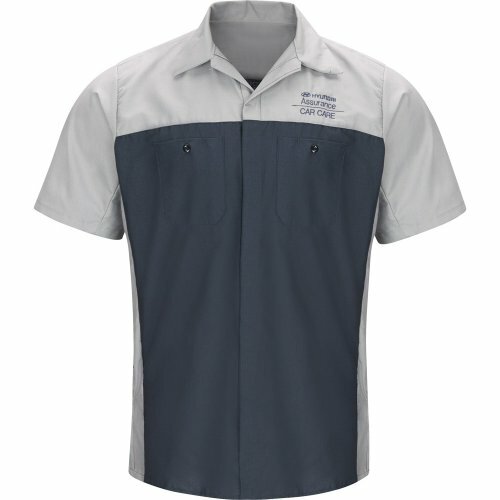 Pencil Pocket on the left chest keeps a tire gauge or other small tools close at hand. SmartPlacket keeps snaps neatly hidden so a car’s perfect paint job stays protected. Cornerless Hex Pockets resist dirt and lint buildup while strategically placed Bartacks add extra strength to prevent rips. A straight bottom VersaHem offers maximum comfort and style and looks great tucked in or left out. Double-stitched DuraSeams provide maximum strength so your uniform lasts longer. Full Underarm Gussets provide improved range of motion and additional comfort. Stocked with Hyundai Assurance logos on left chest and Hyundai logo on center back yoke.